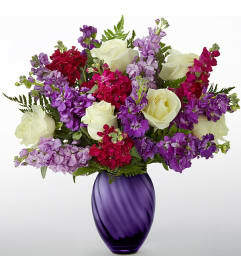 An exuberance of bright and beautiful white blossoms provides an exquisite way to deliver your expressions of sympathy and comfort. 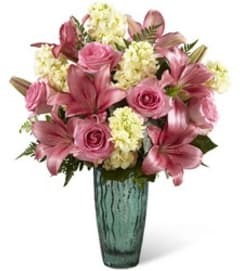 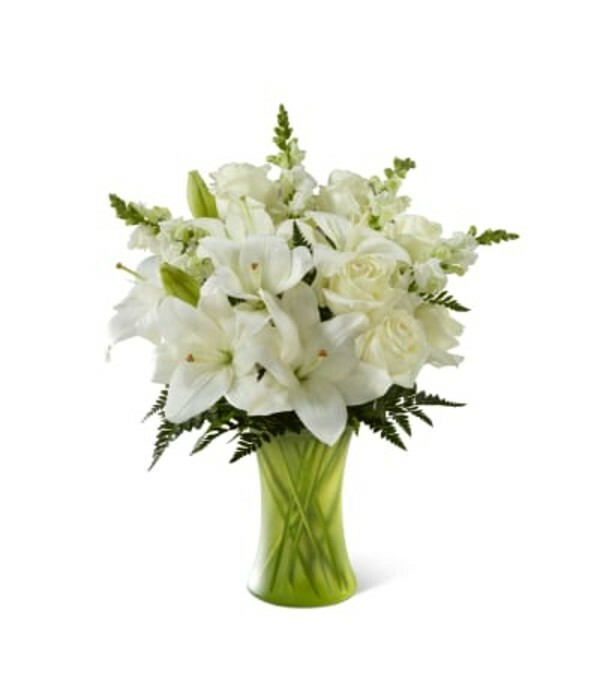 This life-affirming tribute combines white roses, snapdragons and Asiatic lilies accented by lush greens arranged in a matte, green glass gathering vase. 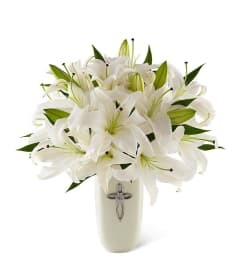 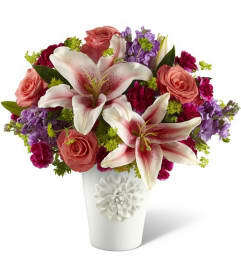 An excellent choice for a wake, funeral service or for sending your condolences to the home of grieving family or friends.